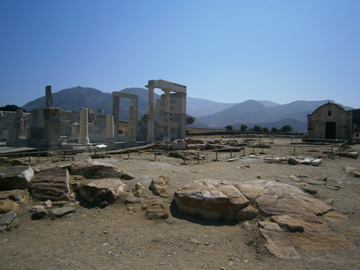 The temple of Gyroulas is the only well preserved, and its forms of a "rural" region by comparison to the more "urban" architecture of Iria. 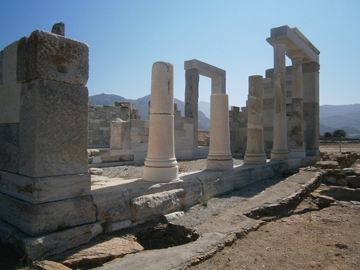 Finally, it provides evidence for the creative evolution of Ionic architecture. 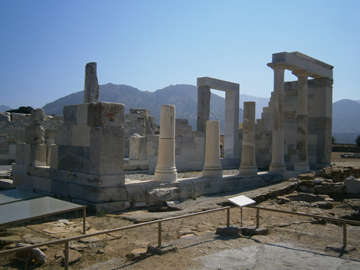 The temple of Gyroulas is the telesterion, designed expressly for the celebration of the mysteries. Well preserved also is a phase of its Christian period, when it was converted into a basilica.